Digital health refers to use of information technology or electronic communication tools to deliver health care services to facilitate better health. Digital health involves providing tools and information to empower people to better manage the health of the individual and their family.  Telehealth: use of electronic information technology to support remote healthcare services. Examples include – long distance clinical care, patient education through the internet.  Telemedicine: two-way interaction between a patient and a physician using telecommunication services. Examples include – video consultations, chat consultations, teleconsultations.  M-health: Using mobile based solutions to deliver healthcare services. The concept of medical care is changing. Electronic health records, electronic medical records and personal health records have revolutionized patient care. Social Media such as Facebook, various health applications, smartphones and of course, the internet have made it a lot easier for people to connect with their healthcare professional at various levels. ● Less time consuming – the use of digital tools to electronically book appointments, view lab reports, consult with healthcare providers saves time for both patients and providers. ● Storage of health records through electronic medical records allows doctors to see patients’ complete health profile, saving time, reducing duplication and leading to better patient care decisions. ● Reduces the travelling time to hospitals, healthcare centres. ● Patients can now seek quality second medical opinions from qualified doctors from across the globe without the hassle of travel and coordination. ● Digital Health increases quality of care. ● Remote patient monitoring through new technologies like mobile health applications allows monitoring health conditions at home, reduce emergencies and hospitalization. 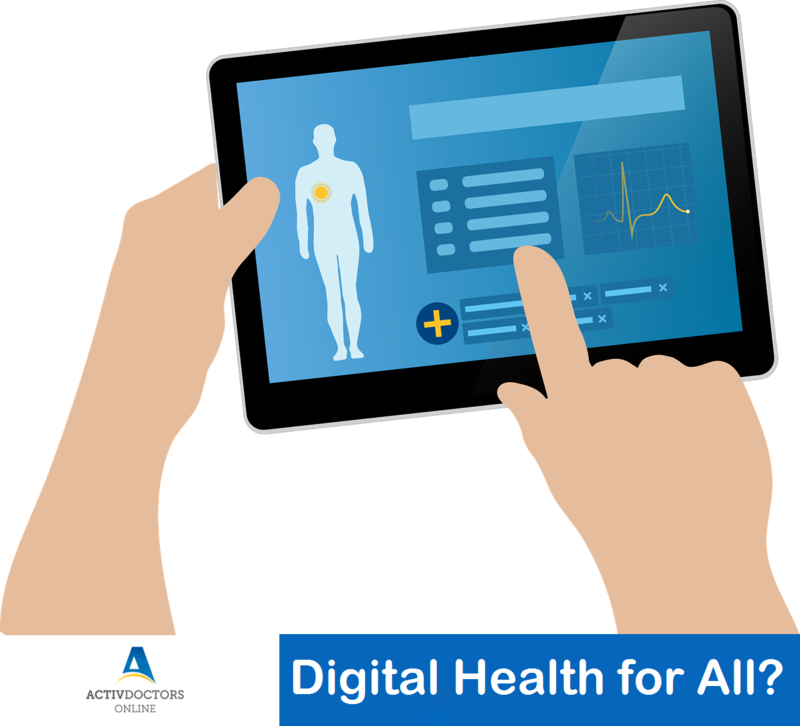 ● Digital Health offers secure, safe and easy to access healthcare facilities. Information technology is transforming healthcare, come embrace the innovation to unfold better and safer care for all of us. Read more about Activ Doctors Online Services and our Vision and Mission to achieve this in the future.